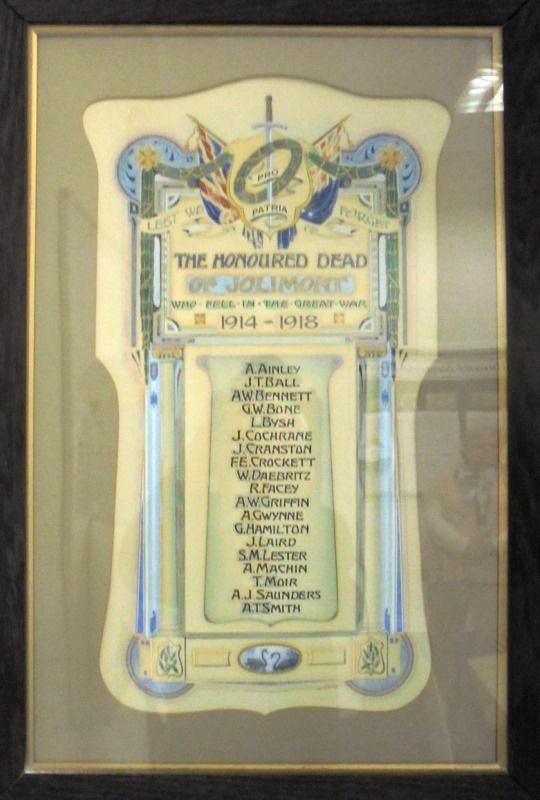 The framed paper honour roll commemorates those from Jolimont who died in service or were killed in action in World War One. It was previously housed in the Jolimont Hall which no longer exists. The school is the only public building remaining in the suburb and as such was asked to house the honour roll.